SJ IM is an app for OS Android which grants safe messaging on mobile devices. In other words this is a jabber client for mobile phones and tablets with built-in automatic encryption algorithms based on PGP (OpenPGP) and OTR (Off-the-Record Messaging). with a 100% money back guarantee. SJ is based on OpenPGP encryption algorithm. You can create your own keys and import them into the application or let the app generate new keys. The program supports PGP keys up to 4096 bytes ensuring complete confidentiality of the correspondence. Transferring 32-digit code files into the archives has now become quite easy! With our software, you can easily, conveniently and safely transfer important data. The program has a "One click to send" function. Thanks to this function, you can send your interlocutor 32 character password protected packed files with just one touch. AES algorithm, also known as Rijndael, is used by the program to encode the chat history. Nobody will be able to access your correspondence history without the password from your PGP key pair. P.S. Anticipating your question "Why not use the same OpenPGP?" we explain that decoding the stored history is time consuming. For example: to decode a transcript of 10,000 records, the program will need one hour. It is impossible to imagine contemporary communication without the Internet, E-mail, video calls, and the various messaging services available to us - all of this has become an integral part of our everyday lives. We send and receive dozens, if not hundreds, of emails a day, and the number of messages sent through various services can be counted in the thousands. We communicate with family and friends, colleagues and business partners; we send and receive photos, videos, personal and business documents, including those that are not intended for the public. Often we do not even realize that documents exchanged via an instant messenger could fall into the wrong hands, and we believe that to ensure security we must set a long authentication password when accessing the messenger. From there we can confidently discuss with partners the next business project, plans to release a new product or company development concepts. If you’re not currently encrypting your data, you shouldn’t be surprised when this sensitive information becomes public or falls into competitors’ hands. Why is this happening? Because the traditional messaging ways cannot provide an acceptable level of confidentiality. Broadly speaking, anyone who puts in it some effort and money could get access to your information. Competitor, a jealous wife, jealous colleague, you never know who might want to access your correspondence and use it for their own purposes. How to protect your correspondence against unauthorized access? The answer to this question is simple. Use an instant messenger that uses a built-in data encryption algorithm. Thanks to this system, hacking your data will become almost impossible. SafetyJabber is just such a messenger. 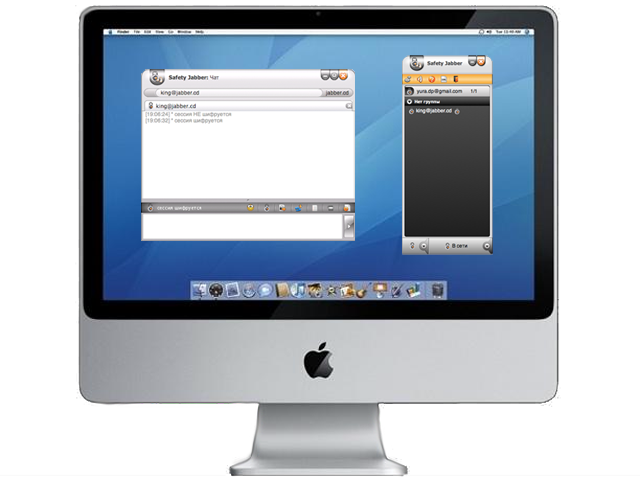 It is based on standard jabber protocol which is used, for example, by the well known Gtalk. There is a reason why the program has “Safety” in its name. The messenger has a built-in library-based PGP encryption, one of the most cryptostable ones. However, this does not mean that to use the messenger you need to learn the basics of cryptography. The only difference between the usual program of this kind is in the original settings where you will have to create a pair of PGP keys, after which all actions are similar to those in other messengers. A pair of keys: public and private keys. The public key is transmitted to your subscribers and the private one is stored on your computer and is only known to its owner. The exchange of public (or public, as they are called) keys that encrypt messages occurs during the correspondence. The private key is used to read the message. The scheme is quite simple and effective, and does not require any additional actions from the user. If a third party manages to intercept the traffic of correspondence, they will not be able to decrypt it without knowing the private key. This, by the way, means that the private key should be kept in strict secrecy. In striving for secrecy you should also use a password for accessing the application discussed below. If you work with SafetyJabber on different computers, then an « export / import keys » feature will be very useful to you. If you create a pair of keys on a one computer, you will be able to transfer it to others computers. The same applies for your contact list, which, by the way, is also stored in an encrypted form. All the processes associated with message encryption and transmission can be found in a special XML-console. This is a visual representation of program activities and it can be useful for users who want to follow the operations of the program more closely. The user password plays an important role in ensuring the security and the privacy when working with the application. SafetyJabber’s work scheme is specially designed to make it impossible to start the application without knowing the password, thus no one will be able to access your correspondence history, your contacts or other data. This is what distinguishes SafetyJabber from other messengers, which, even if they do not directly give access to the data, can still be run without a password. By spending a few extra minutes on configuration, you get a simple and convenient jabber-client, ensuring the security of your correspondence, and allowing you to communicate in a way that is ordinary and usual for you, without thinking about how it works or being obligated to do anything else. The file transfer should be reviewed separately. SafetyJabber has the built-in ability to transmit any file in strong password protected archives, through SendSpace.com services, in literally "one click." You simply send a file, the same way you do in ordinary messengers, but here the confidentiality of transmission is guaranteed. Another advantage of SafetyJabber is the possibility of sharing encrypted information, not only with users of the same application, but also with those who use other jabber-clients with encryption (for example, Psi). 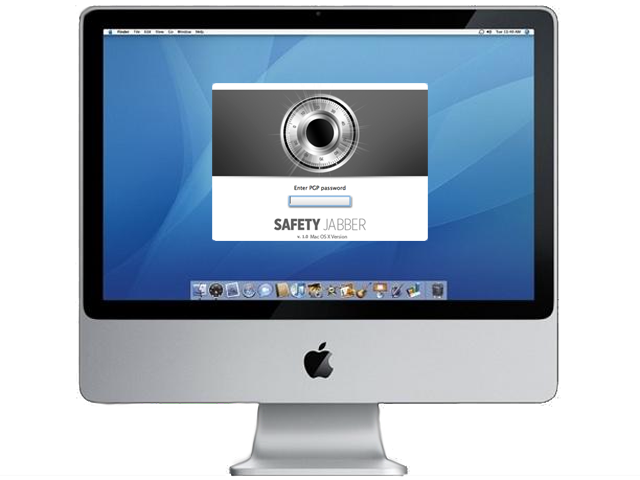 Summarizing all the above, we note that SafetyJabber is a simple, easy to use, functional jabber-client that allows you not to worry about the privacy of your communication and file transfer. The program will take care of it on its own, leaving you free to talk. If you buy 5 or more licenses of SJ IM Premium you get a branded USB flash drive for free!